I know this is not really a very original recipe, but I included it below, regardless! 1. Heat skillet to medium. 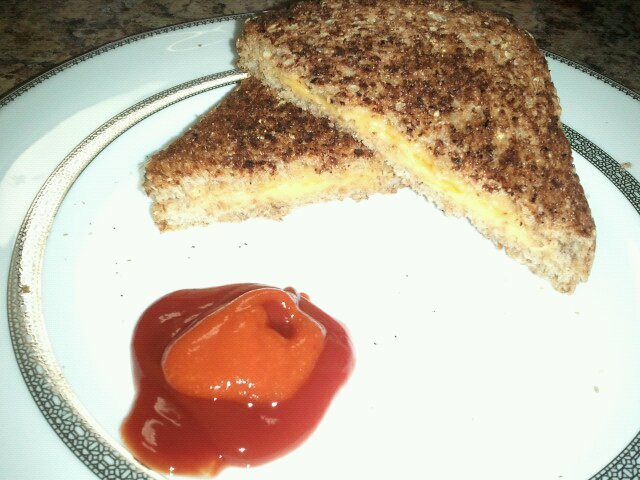 Assemble sandwich, 2 slices of cheese per 2 slices of bread for maximum gooeyness. 2. Place some butter into the skillet. I used 1 or 2 teaspoons. 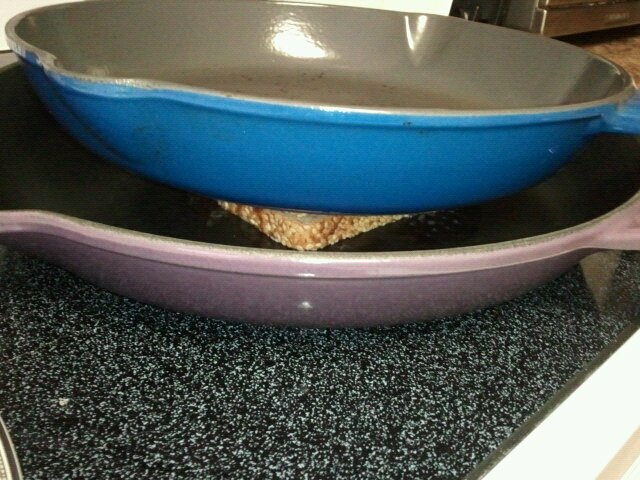 Place sandwich on melted butter and place another heavy skillet or plate with a heavy object on top. Cook for a few minutes. Cheese should be half melted. 3. 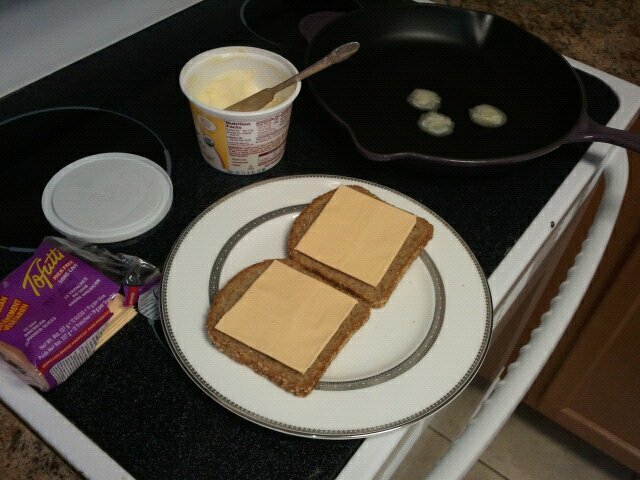 Remove top skillet and sandwich, add more butter and replace sandwich to cook the other side, top with skillet. Cook until cheese is fully melted. Repeat with second sandwich, cut into halves and serve!